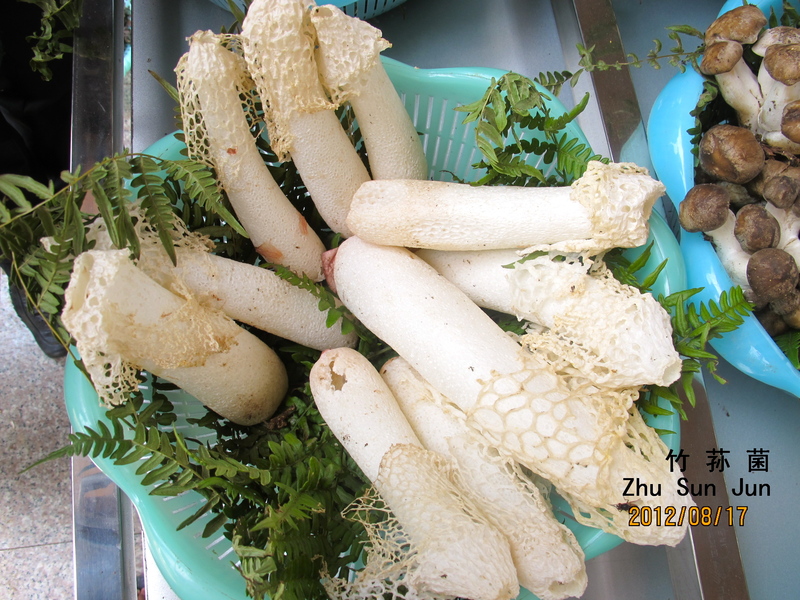 One of the most unusual mushrooms we saw, bamboo or veiled lady mushrooms – a solid white stem with a lacy cap. My friend took this picture since his camera didn’t show the red shadow of the red awning in front of the restaurant where we ate lunch and he put the Chinese name and the name in pinyin for me so that I could do the research to name it in English. China is famous for it’s wild mushrooms, and most varieties come from the neighbouring forested areas where I live. 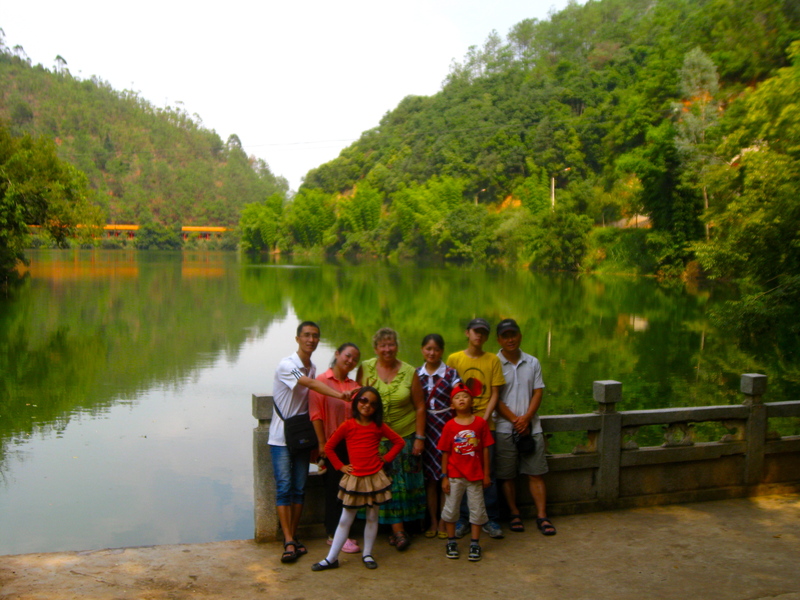 The trip spent with friends to ‘Wild Mushroom City’, Yi Men, a 2 hours drive from Kunming was so fascinating. May to August is the Mushroom Season in Yunnan Province, when all kinds of wild edible mushrooms come into the market. About a month ago, I got some very different kinds from my local market that with the help of my Chinese friend, I safely cooked at home. Locals in the forested areas of the province are the mushrooms pickers. They go out in the early morning after a rain, which seems to be everyday in this, the rainy season and gather fresh mushrooms to sell at their local markets and to mushroom re-sellers who ship the harvest all over the world. Not only are wild mushrooms revered and sought after among the people of China, but this trend continues all over the world, as the demand for the lovely and delicious morsels of natural beauty ever increases. 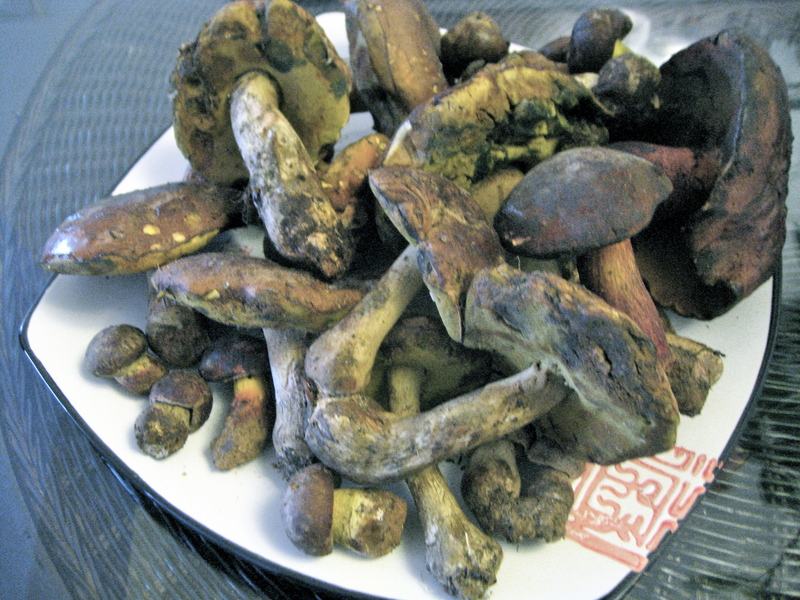 There are over 880 kinds of edible mushrooms in Yunnan, accounting for about 40% of the production all over world. 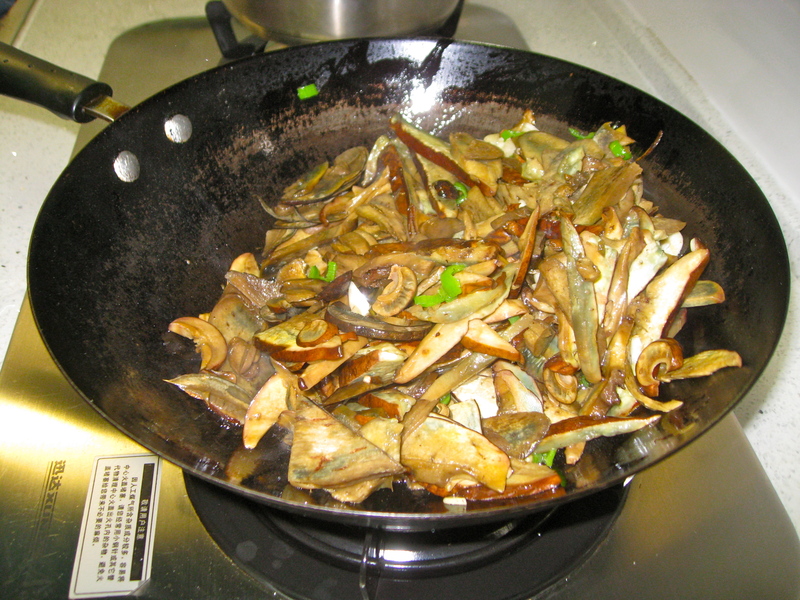 More than 90% of mushrooms in Yunnan are edible, with natural production of about 500,000 tons. Yunnan is one of the most abundant regions in the world for wild mushrooms in China and around the world. Wild mushroom contains various vitamins and other trace elements, which make them such a healthy food and some mushrooms can help fight against cancer and other diseases. 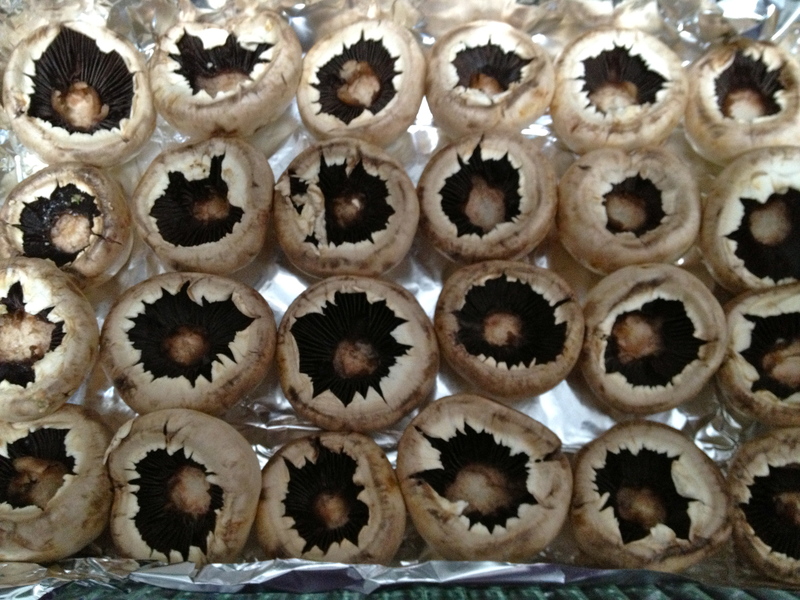 We ate mushrooms for lunch and I saw ‘out of this world-looking’ mushrooms, the likes of which I’ve never seen before. On the display table at the front of the restaurant were 22 different varieties. We ate lunch with about 9 kinds in the hot pot mushroom/pork/goose soup broth. 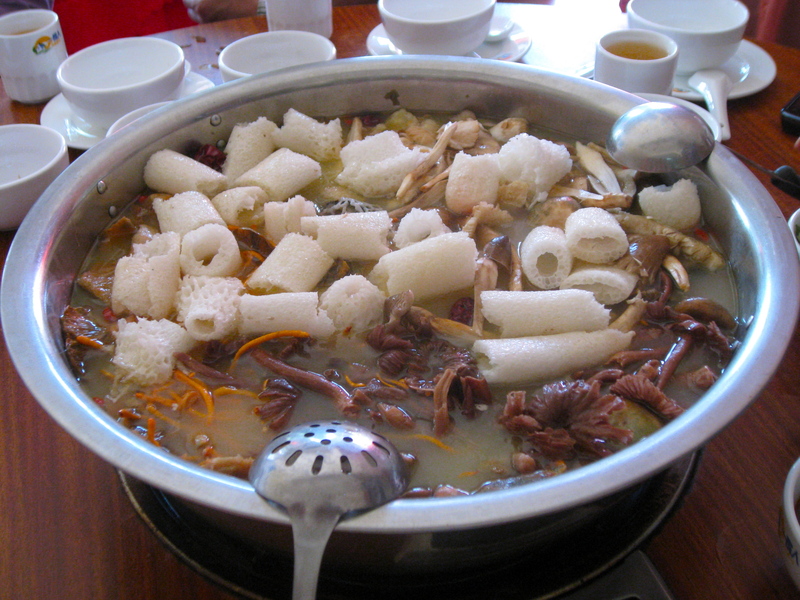 The white mushrooms floating on the top of the soup are slices of cactus mushrooms. Afterwards we went to the mushroom market and I got two kinds to take home. 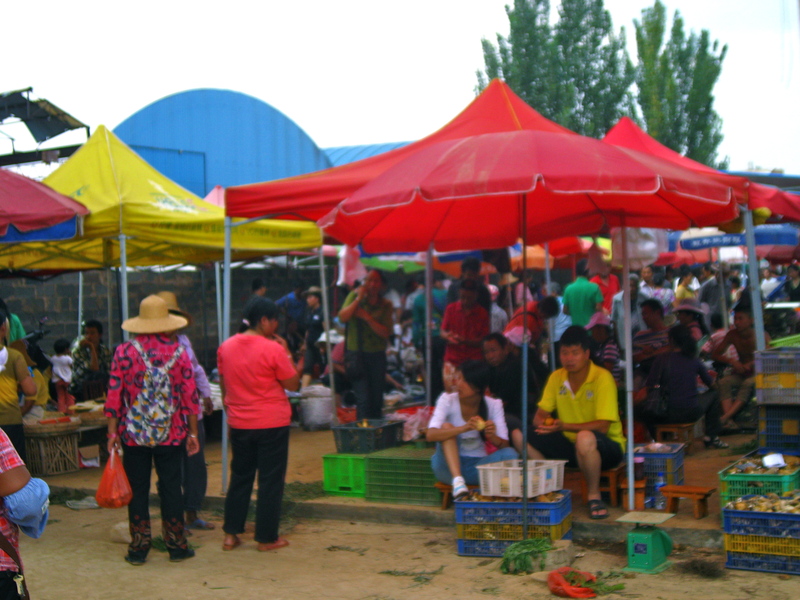 The market at Yi Men was a hive of activity, all the sellers lined up along the pathways under cover with umbrellas to keep themselves and their mushrooms from baking in the hot sun. Several sellers had living beehives with bee larvae still alive for purchase. We took a brief look around and checked out the prices and condition of the mushrooms and I left Qu Ping to buy the ones I wanted, without me around. She says that the locals even knew that she was from out of town so it was difficult to drive a hard bargain. But in the end she got me me the two varieties that I wanted – Porcini or Niu Gan Jun and Gan Ba Jun or Dried Beef Mushrooms. I liked these because we ate them stir fried for lunch so I knew what they tasted like and the main word to describe them is ‘de-licious’! The market was hot and crowded and we went left there to go a park where we sat by a cool stream in an open-air pagoda and chatted while the kids played at the water’s edge throwing stones in. On the way home we stopped along the road to buy some veggies and fruit from the farmers selling freshly picked produce at unbelievably low prices. 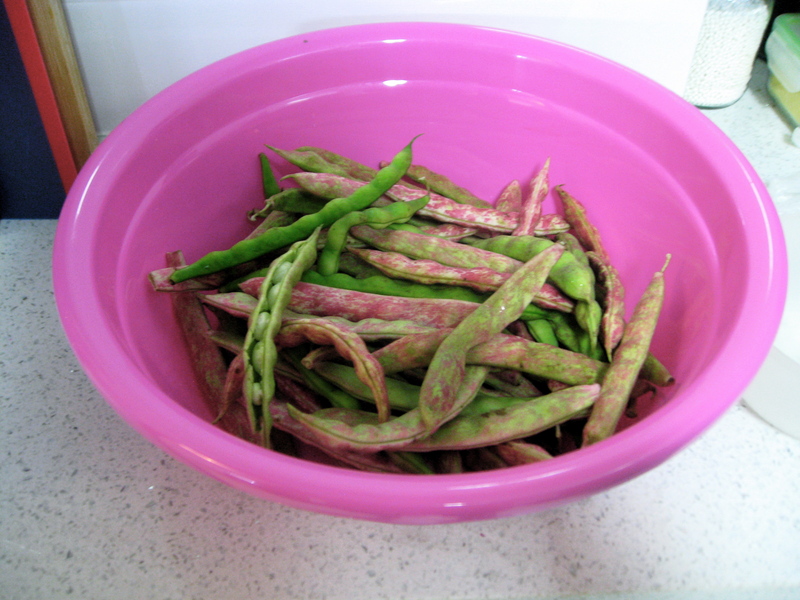 Richard chose a lot of vegetables and fruit and gave half to me to take back Kunming – sweet apples, edamame beans still on their stalks, cranberry beans with a white and pink pod and while and pink beans like a lima bean inside, eggplant and fresh green onions. We came home and had dinner in a nice restaurant. 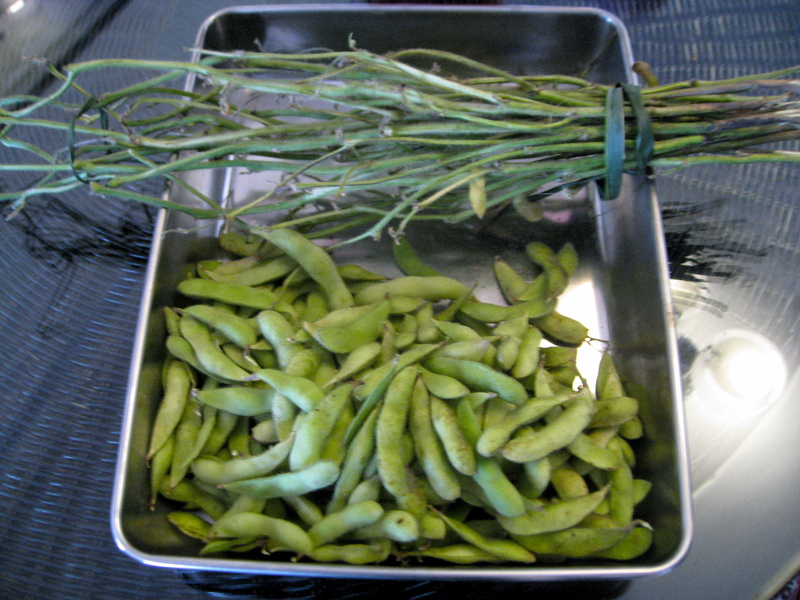 I am getting ideas for the Yunnan cookbook and recipes I will put together as time goes on in my stay in Yunnan. OMG, I spent all afternoon yesterday with one of my friend, Qu Ping, teaching me how and cleaning the 1 kilo, 2 pounds of black mushrooms that are only found in Yunnan Province. Wow was that complicated. The mushrooms called Gan Ba Jun mushrooms grow under pine trees in the thick forest and they are not a solid mass of mushroom flesh. They grow with many sections like flower petals all intertwined and while growing pick up pine needles and forest soil in between their ‘leaves’ and this stuff gets imbedded in them. It’s not a whole chuck of mushroom that you get like we are used to, but tiny pieces that you must pick out the pine needles and soil from. Amazing. 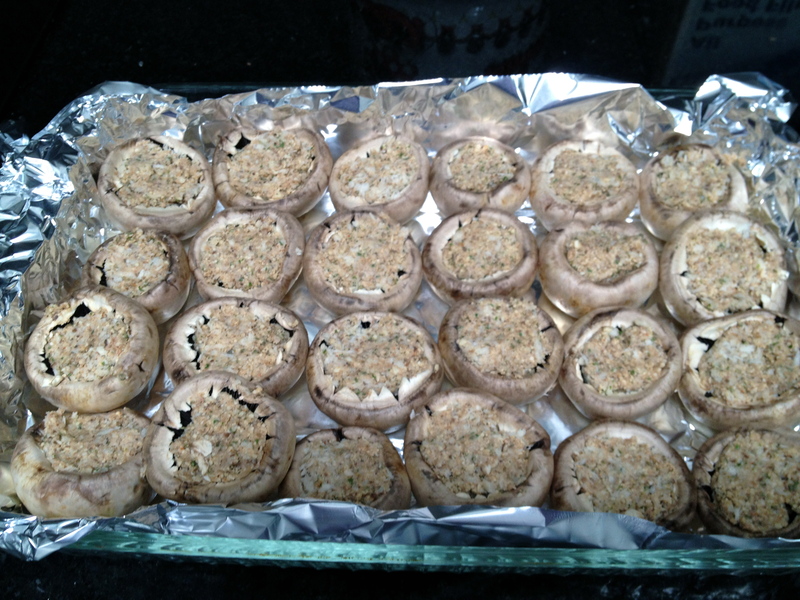 They were simply delicious and this morning I woke up to the aroma of a pine forest in my apartment. Because they’re so fragile, rare and expensive, I had to wash and stir-fry them up in oil and put them in a freezer bag to save in the freezer for the party I’m making this coming Saturday. You could call this a labour of love. 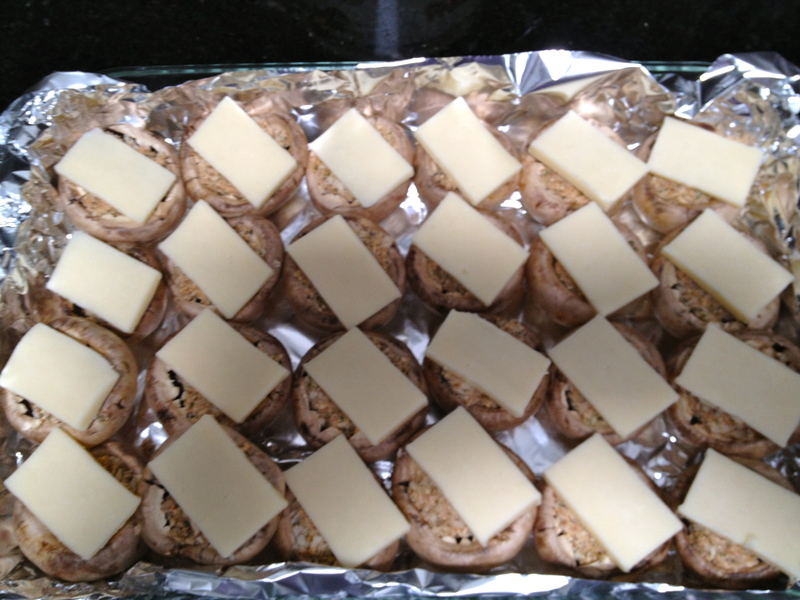 We started preparing the Gan Ba Jun one at 2:30pm and she left with her daughter at 8:30pm less an hour to cook dinner of the other kind of mushrooms that I bought, the Porcinis. Gan Ba Jun Mushrooms are the rare wild edible fungus that can only be found in Yunnan and grow in the pine tree forests in central and west Yunnan. 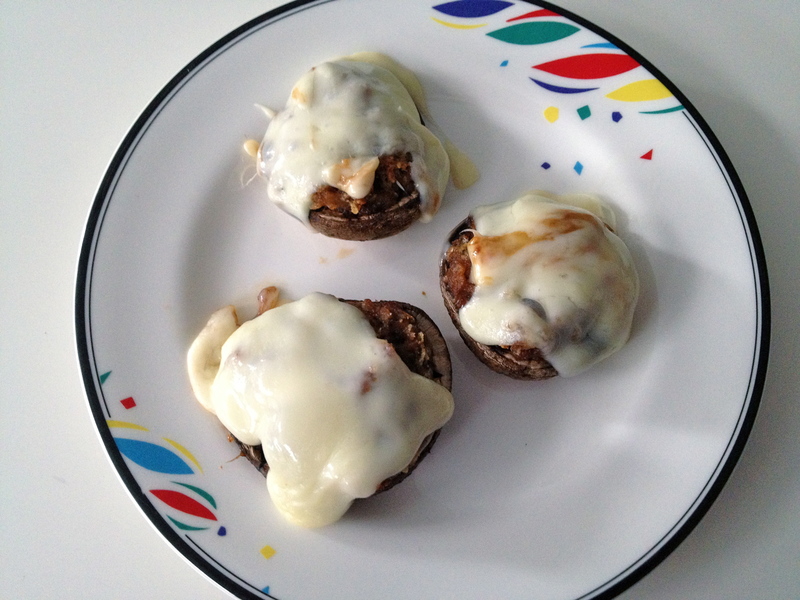 The mushrooms look ordinary, but they taste very delicious. 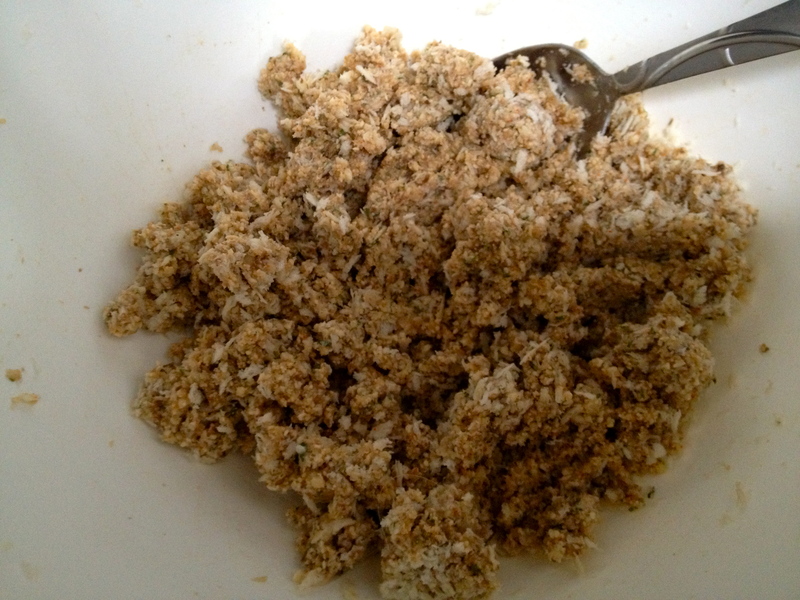 They can be fried with green peppers or eggs. 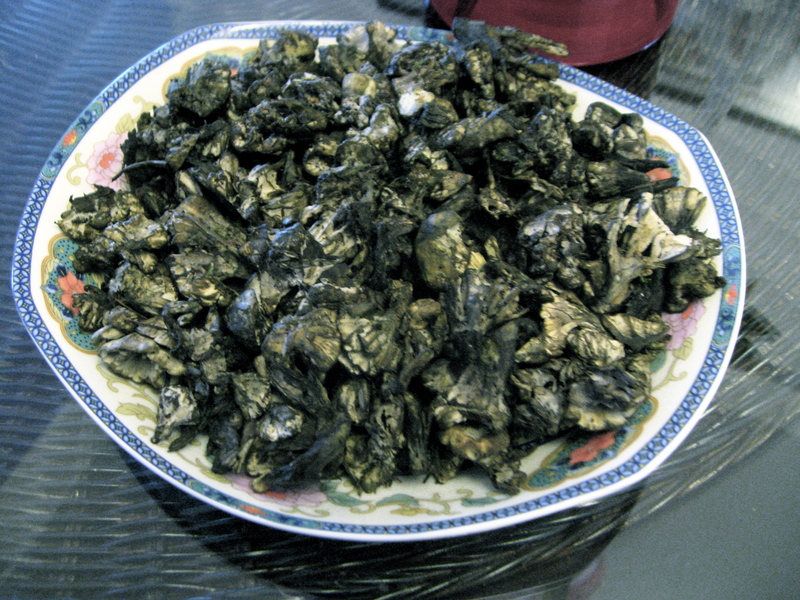 The price for 1 kilogram of fresh Gan Ba Jun Mushrooms is about 350 yuan or $60 a kilo. 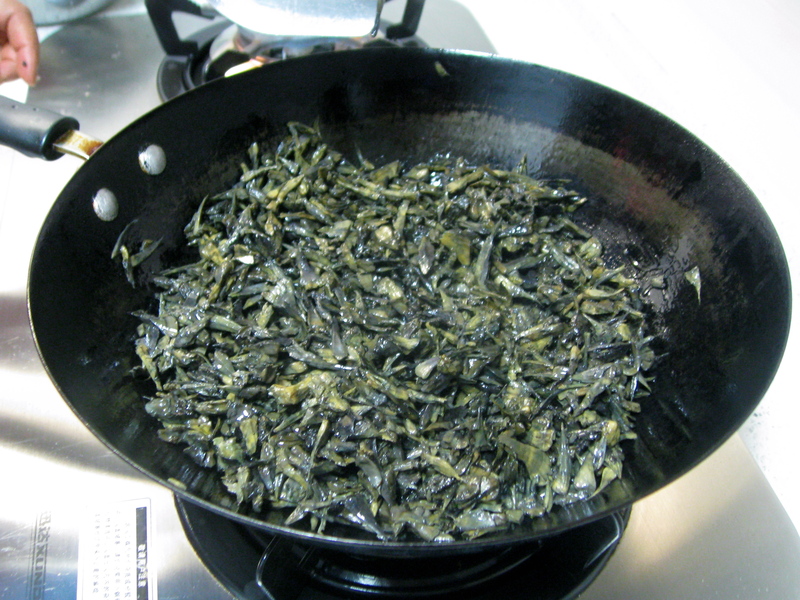 It is deeply savory with a pleasantly chewy texture and has a strong earthy and pine aroma and flavor. The second type of mushroom I brought home is boletus edulis or porcini mushroom, called Niu Gan Jun in Chinese, which is considered one of the safest wild mushrooms to pick for eating, as there are no poisonous species that closely resemble it. 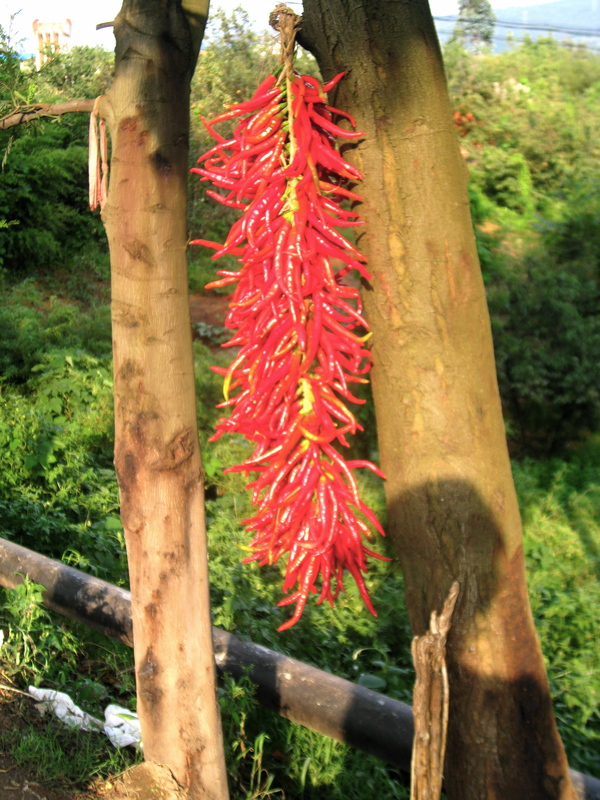 This variety is widely known all over the world and prized for its taste and appearance. The trip was one to remember – beautiful sights in far away places, new ideas, different cultures, lovely friends and delicious new tastes of wild mushrooms.